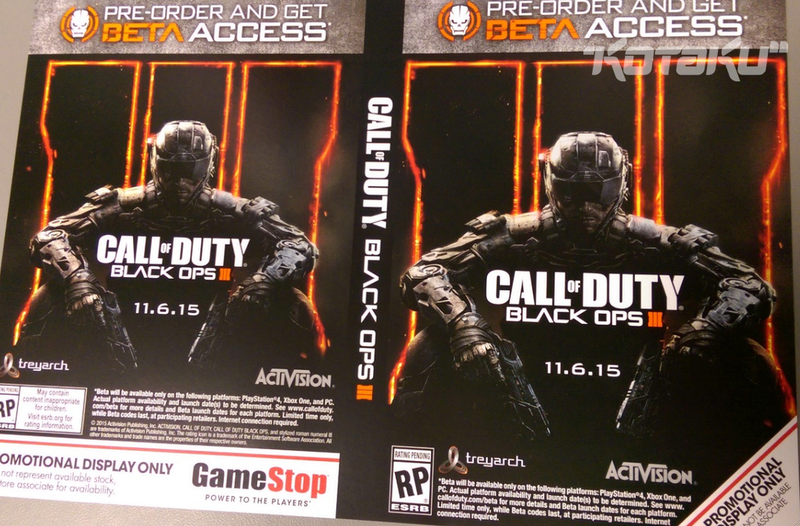 The next Call of Duty will be out in November. No surprise. November 6. Hey, that’s a Friday? Pre-order (ugh) for a beta that’s... on PS4, Xbox One, PC. No word about old-gen versions. Note the fine print: “Actual platform availability and launch date(s) to be determined. According to a tipster, these pre-order cards will be handed out at GameStops this Sunday, presumably in conjunction with the release of the first proper non-teaser trailer of the game.